We celebrate the World Cancer Day on the 4th February every year. The main aim behind this day is to create and spread awareness of world cancer day about this dreadful disease. The theme of this program that is held every year is “We Can. I Can”. The program encourages everyone to engage themselves into activities that are helpful in averting the risks of cancer. The program also discloses the number of cancer cases registered every year with its mortality rate. Despite of many advanced medical treatment options, the mortality rate in this disease remains very high. You Might Also Like: The world cancer day and all about Cancer you must know! Cancer has been prevalent in the world since ages. There are various factors which contribute to this disease. Though it is a fact that there are various factors which are unavoidable and can’t be changed immediately, like family history of the disease, ageing, etc. !But we can undertake measures to control various habits like obesity, alcohol, tobacco, diet, sunlight exposure, etc. to keep this disease at bay. 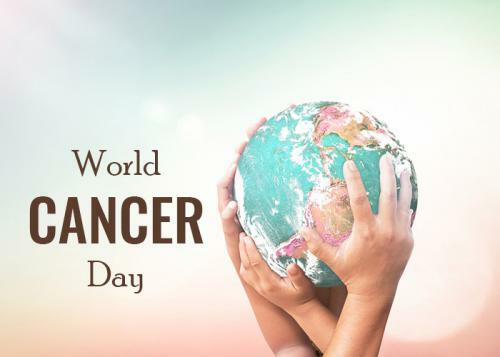 This is the main objective of observing the World Cancer Day. The program entails that it is very important to bring together as many people worldwide that can discuss this disease and take a pledge to curb its symptoms. There is no second opinion that cancer has steadily become the most dreadful health issue on a global level. Cancer can attack anyone and can take them into its embrace anytime. It can severely damage the human body cells and can make them dysfunctional. The cancerous cell starts multiplying uncontrollably and takes the form of a tumor. These tumors also can multiply and they are poisonous in nature. Over a period of time, the tumors start harming the nearby tissues and organs and start spreading in the entire body. There are many reasons that are responsible for spreading cancer cells in the body. Obesity – Over 50 % of people in the world are obese. Obesity is the largest cause of cancer and many other dangerous diseases. The fat tissues are responsible to produce estrogen and other harmful hormones in the excess amount. These things give rise to cancerous tissues and its multiplication. Smoking – Smoking a single cigarette can release thousands of harmful chemicals in the air as well as the body. 70% of these chemicals are cancerous not only for the smoker as well as for the second-hand smokers. T means that the people who are frequently nearby the smokers and inhaling the cigarette smoke. It is advised to immediately quit smoking and go for other chewable supplements. Sunlight Exposure – You must have heard that excess exposure to the direct sunlight can be the cause of skin cancer. Make sure you stay protected from the scorching sunlight and apply SPF 30 sunscreen lotion. Age – Though there is no age limit registered for this disease. But the people belonging to the age group of 65-74 years need to be careful and cautious of this disease. As the cancer cells tend to attack an old body faster as compared to the younger ones. Therefore it is advisable to eat more healthy and fresh fruits and vegetables on a regular basis to keep your body strong and immune from diseases. Alcohol – Alcohol is also one of the leading causes of liver cancer. One should limit the alcohol intake to one drink. Going over two drinks per day can be very dangerous for your health. Heredity – If you have a family history of any type of cancer, then you too should be very cautious about it in future. There are possibilities that genes might repeat a similar pattern in future. It is necessary that this will happen in the next generations as well, but you need to be very cautious about it. This was a brief write up about World Cancer Day. Make sure you too spread awareness about February 4th is World Cancer Day and help them in identifying this disease and combat it bravely. Stay happy and stay healthy!